Most kids are constantly on the move as they are extremely active at times. You may be wondering if registering your child for kids dance classes in Ropes Crossing will help benefit your child’s physical development. Dance classes can greatly benefit the health of children. Physical advancements can be enhanced by dancing and listed here are just a few ways dance is so beneficial. All the time kids are moving or are active in something or other at CDA in Ropes Crossing Community Resource Hub. Toddler dance classes will help channel your child’s physical energy to help them develop a strong body. Dancing requires flexibility, which is learned with time. 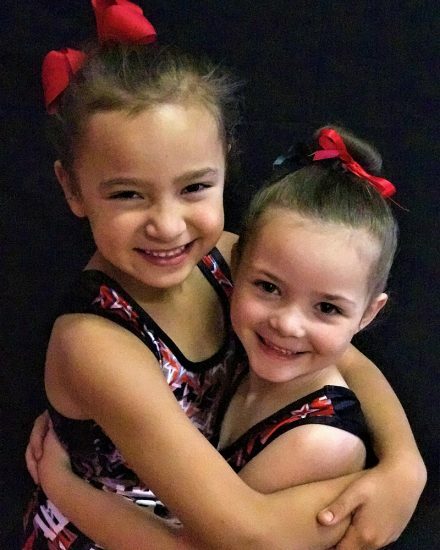 The moment your youngster begins dance class, they are able to learn simple stretching techniques which would enable them to be flexible. Being flexible and having a background in dance may help your child with other physical sports such as soccer, baseball, track, football and more. In addition, dance can help your child to build stamina. Strength is usually developed which can be most beneficial in other areas in life as dancing entails discipline and focus in addition to plenty of exercises. When a child attends a dance class several times a week, they can develop stronger lungs as well as have increased cardiovascular strength. If your child is overweight or has struggled with weight issues, dancing can be a great way to help them lose weight. It is a fun approach to exercise and may take your child’s mind off of their body image. Our dance school in Ropes Crossing may also help correct poor posture as some children do not always sit or stand appropriately. Ballet dance classes requires proper posture all the time. Even though this does take a while to develop, it will soon become natural to a child. Not only uncomfortable, it is extremely difficult to move correctly with bad posture and dancing will improve this. They will develop a habit which will carry over into other areas of their life once they discover proper posture and body positioning. Children can avoid some health conditions simply by learning correct posture at an early age rather than suffering their entire lives. Another excellent advantage of dancing is the ability to increase muscle tone. During acrobatics dance classes, kids will be applying different muscle groups. Different exercises target different areas of the body to build strength and stamina. When your child completes these exercises in the correct form, their muscles will soon develop a familiarity with the exercises. With a lot more muscle tone, your child is less likely to gain weight. By accomplishing a routine each day with similar exercises, your child’s health will increase. Contemporary dancing can help children coordinate motions to music and learn how to use different body parts together in one motion. By using balance techniques, they have learned in the Creative dance classes Sydney academy it can be useful if they do actually become interested in sports. There are lots of advantages of enrolling your child in kids dance classes in Ropes Crossing. Physical strength, balance, cardiovascular health, coordination, and good posture all become second nature, increasing your child’s wellness.